Dave Bogaty is a coffee junkie. He exclusively buys his beans from a small-batch roaster in Brooklyn and scouts out local varieties in every city he visits. So when the Massachusetts native and former Google software engineer saw a commercial-quality home espresso machine showcased on the "coffee@google" mailing list back in 2011, he went to crowdfunding website Kickstarter to snag one for $250. ZPM Espresso, the maker of the machine, had raised nearly $370,000 in a matter of days. More than three years later, Bogaty has given up on ever seeing that coffee machine. Or his $250. After raising additional funding from private investors and selling pre-orders of the nonexistent machine through its own website, ZPM pushed back delivery dates for three years. Finally in January, ZPM alerted backers the company had folded and "will most likely be unable to offer refunds," according to an email reviewed by Quartz. Bogaty mostly shrugs off the lost money (and he still hasn't bought a home espresso machine). But he tells Quartz he worries his experience may become more common as crowdfunding morphs into a murky offshoot of the much larger finance industry. "This model is effectively financing without any obligation to the people giving you the money," Bogaty said. "There's no accountability." Kickstarter is perhaps the best-known platform in the fast-growing constellation of crowdfunding outlets -- a catchall term used to describe a range of services, from websites offering backers early access to new products to sites that allow funders to make equity investments in startups and real estate projects. While they all tend to blend together in a loosely regulated pool of alternative finance, the basic idea is to provide an alternative to banks and venture capitalists and offer everyday consumers a quicker, more direct way to save, spend, and invest. "We've all seen Kickstarter projects fail, but this is different," Bogaty told Quartz. He argues that ZPM Espresso raised hundreds of thousands of dollars by promising to create espresso machines for more than 1,000 enthusiastic backers but instead took the money and used it as operating capital, allowing it to attract private investors they otherwise might not have found, he says. Then, like the majority of startups, ZPM failed. In recent years, raising money online from crowds of individuals has become an increasingly common avenue for successful upstarts, helped along by big hits like Oculus Rift (acquired by Facebook) and Pebble Watch, which has raised more than $30 million on various Kickstarter campaigns. Now some startups forgo angel or seed money in favor of what venture capitalist Matt Turck refers to as a pre-Series A "crowdfunding" round. For its part, Kickstarter says the definition of crowdfunding is still evolving. "Investment, commerce, and philanthropy are three very different types of transaction we're all familiar with and it's tempting to frame the Kickstarter experience within those existing boxes. But, ultimately, it's an entirely new kind of value exchange, and deserves its own set of expectations," spokesman Justin Kazmark said. Worldwide crowdfunding reached $16.2 billion in 2014, up from just $6.1 billion the year before, according to research and advisory firm Massolution. The figures include various types of crowdfunding including models based on donations, rewards, lending, royalties, equity, or a hybrid version. Today crowdfunding has morphed into a much more transactional mashup of commerce, finance, and investing. And the questions surrounding the industry -- is it charity? retail? investment? -- will likely only get more murky as a new generation of crowdfunding models and websites come online, many specifically designed to secure equity investments for new or growing companies. New laws around the world are making it possible for more individuals to put their money into flavors of crowdfunding that are more like investments than donations. And regulators in the U.S., U.K., China, and Germany are making it easier for people without millions of dollars to invest in startups in exchange for shares in early-stage companies-opening the way for a further evolution of crowdfunding in that direction. It's a natural progression, angel investor Gil Penchina told Quartz. Penchina, a former eBay executive turned angel investor, recently put together a pool of investors, known as a syndicate, to make equity investments in companies raising money through Indiegogo -- a donation-and-reward based crowdfunding site. In partnership with Indiegogo, angel investors will buy stakes in select companies behind successful crowdfunding campaigns. "When we started seeing hardware startups on crowdfunding websites begin to out-raise venture companies, we began paying serious attention to them," he said. Angel investors and venture capitalists have been incubating projects on crowdfunding sites and trolling the platforms for new ideas for years, "now, we are just formalizing the process," Indiegogo CEO Slava Rubin told Quartz. He also points out that Indiegogo recently began offering backers the chance to buy insurance on some donation-and-reward-based campaigns in case the projects on its site go bust. The attraction to crowdfunding is obvious from the perspective of the startups raising money, especially companies that manufacture gadgets or devices. Producing those items is a "capital-heavy business that is helped by selling thousands of pre-orders before you actually manufacture the product," says Adam Sager, co-founder and CEO of Canary, a home security device company that raised $1.96 million in pre-orders on Indiegogo and now sells its products at retailers such as Best Buy and Amazon. "When we saw the response on Indiegogo, we knew we were on to something, and so did the investors and retailers that went on to partner with us." But Sager explains that Canary used the Indiegogo campaign to fund the production of the devices exclusively, raising $1.2 million around the same time in additional seed funding to pay for hiring and other company operations. At any rate, the amount of money flowing into crowdfunding platforms is set to rise over the next few years, as countries begin allowing more people to participate in platforms that are investment-driven, rather than the traditional blend of donations and rewards. New rules go into effect in the U.S. this summer that allow small businesses to raise up to $50 million from the general public in a process resembling a mini-IPO, which could open up a new avenue to raise money through crowdinvesting. Previously, these types of private offerings were only available to so-called accredited investors with a net worth of $1 million or more, excluding their primary residence. The regulations stem from the Jumpstart Our Business Startups Act, which Congress passed in 2012 but has yet to fully implement. Additional rules specifically geared toward crowdfunding are expected by October. 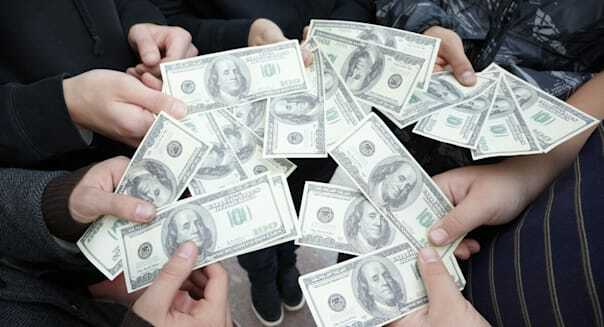 In the U.K., which has already passed a set of rules regulating the industry, crowdfunding is now the fastest-growing form of alternative finance, growing three times faster than peer-to-peer lenders, according to a report from the University of Cambridge and think tank Nesta. The U.K.'s Financial Conduct Authority, which spearheaded the rules, waves a big red flag at potential investors: "It is very likely that you will lose all your money," the financial watchdog cautions. It warns investors to "only invest money you can afford to lose." The warnings are well placed: More than 60 percent of U.K. investors who put money in equity crowdfunding deals had zero prior investing experience and more than 40 percent were tapping funds that otherwise would have been placed in savings, the University of Cambridge and Nesta found. Similar rules are in motion in China, as well as in Germany, where a proposed law would restrict investors from spending more than €10,000 on a single venture and allow them to demand a refund within 14 days. Consumer rights advocates caution against blindly accepting the populist argument from proponents who say crowdinvesting will give average investors access to the same kinds of money-making prospects as Silicon Valley bigwigs. They say that early-stage investments do offer more access for everyday investors but come with limited liquidity and only deliver a payout if the company is sold or goes public, a process than can take many years if it ever comes. Plus, there is no way to know if an early-stage crowdinvestor's stake-and future upside-will be diluted by future financing rounds. "The vast majority of people are still not saving adequately for retirement, so why would we push them into highly speculative investments in small companies?" says Barbara Roper, director of investor protection at the Consumer Federation of America. "There's a reason why this market traditionally hasn't been opened up to average investors, who can't recognize that the vast majority of companies will fail." ZPM Espresso was one of those failures. It decided to scale up its original plan of making only 50 or 100 espresso makers to meet the much higher demand its Kickstarter campaign generated, Gleb Polyakov, a company founder, told Quartz. But that meant relocating to a bigger production facility and finding the right suppliers. The bigger operation led to manufacturing mishaps and certification hangups, which soon sucked up all the company's funds. Raising more cash from private investors and pushing delivery dates ever later wasn't enough. Polyakov said his team worked 60 to 80 hours a week for years to build the espresso makers but "at the end of the day, the manufacturing was a lot more complicated than we expected, we got low on money, people started leaving, we couldn't get Series A funding, and there was no runway to stretch the project out beyond that." As for the disappointment from its original Kickstarter backers, Polyakov explained his Kickstarter backers weren't investors. But he says their direct relationships with the company was also a bit different than the traditional links between a vendor and customer. "There's this investor-like sense that, hey, I've been communicating with the product makers, getting regular updates on manufacturing, and providing feedback, which creates a feeling of ownership you don't get when you're just buying something off of Amazon." And while it's likely little comfort to those who gave their money to ZPM, Polyakov saidthe company's cofounders are trying to sell ZPM to a company that could someday actually build the espresso makers and deliver them to its original Kickstarter backers.